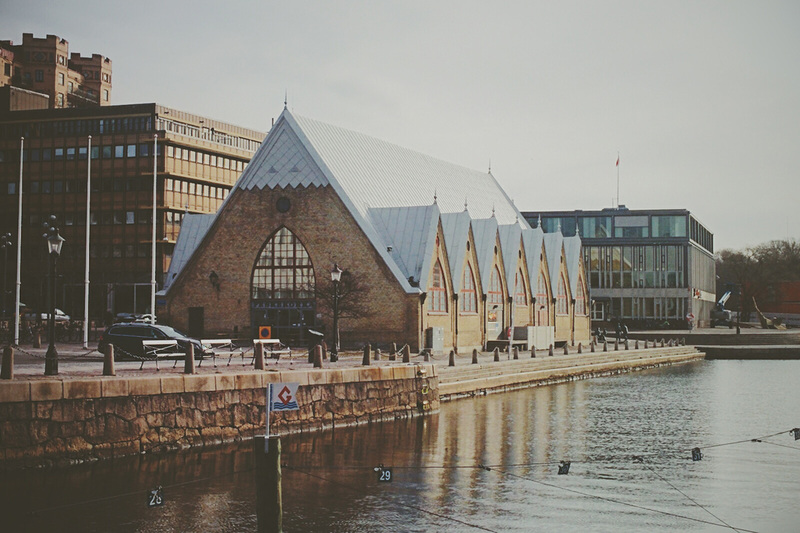 This was our first visit to Gothenburg/Göteborg, so we didn’t really know what to expect when planning our trip. We decided to Couch Surf while we were there (hospitality exchange through social media) so with the help of our hosts we got to see a lot of gems we wouldn’t of known about by just checking out our guide book. If you are a person that is interested in meeting locals while travelling and interested in taking the unbeaten track, check out couch surfing. In my experience, it’s a wonderful community of people with many different views and life experiences who all share an openness to basically open up their home. It’s not for everyone, but if the sound of it appeals to you, check out their website and maybe even set up a profile and see how it goes. 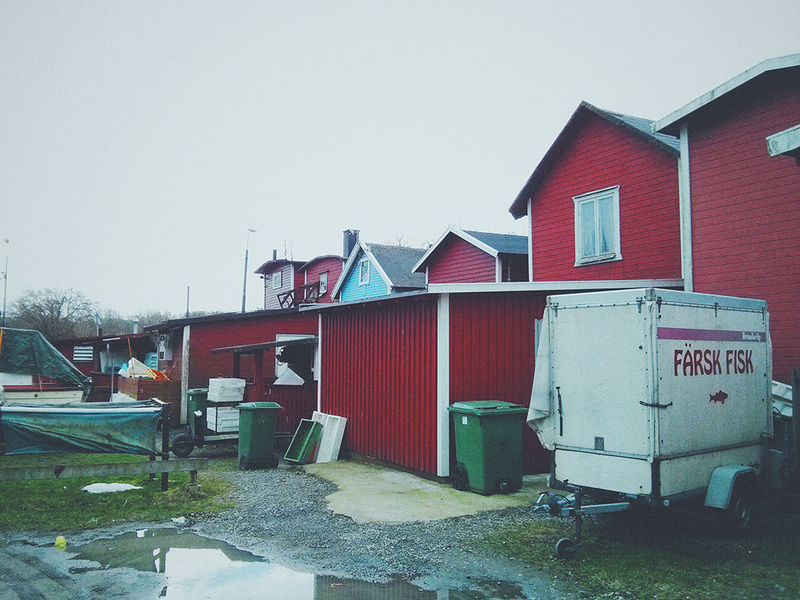 In Sweden traditional wooden houses can be seen covered in this bright red/copper colour, it’s called Falu Red and dates back centuries. 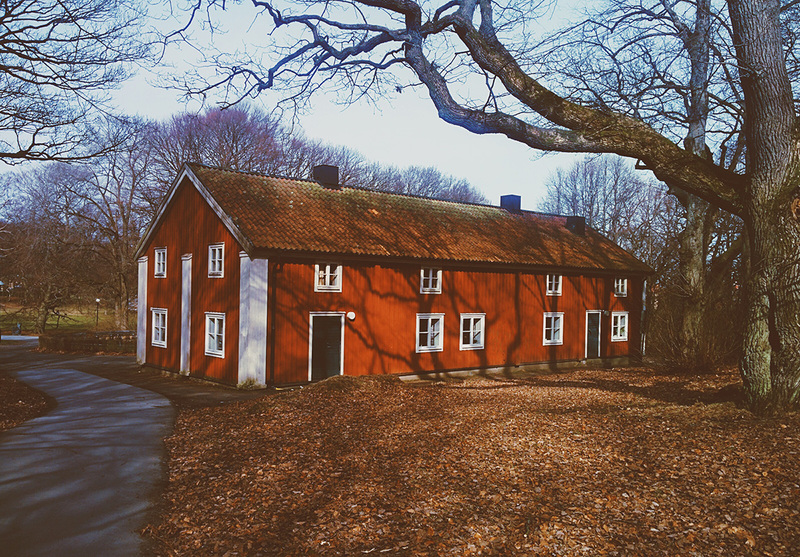 It has quite a practical purpose for preserving the wood and giving the effect of a brick house but was used mostly in the country side as the government in larger cities like Gothenburg and Stockholm opposed the use of it on houses in the cities. I love the look of these houses, and would love one for my very own but I think it would look a bit silly plopped in the middle of my town. Stora Saluhallen is the indoor market right in the city centre. 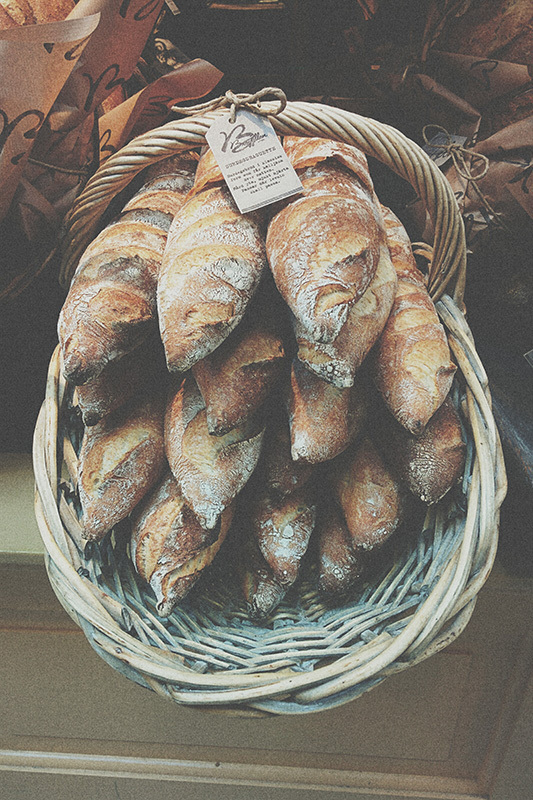 They have a great selection of fresh seafood, breads, spices etc. You can pick up a couple of things to eat on the road like we did, or you can sit and dine in the middle of the food hall for some really fresh meals. We grabbed one of the Semla (follow for recipe) and ate it by the near by river which was a great choice in the perfect chilly but sunny weather. 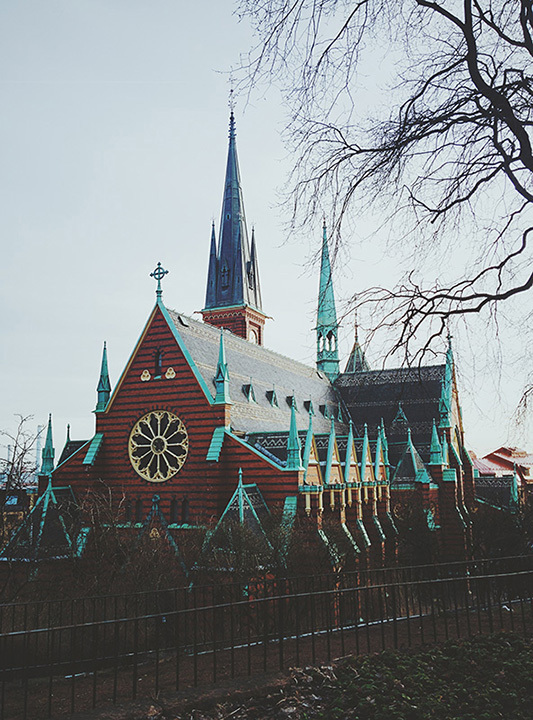 The Feskekôrka, (‘fish church’ in Swedish) was a building that I really wanted to visit, as it’s essentially a fish market but intended to look like some of the Norwegian stave churches. It didn’t disappoint, it fits so snugly into the city that you would expect it to of been an actual renovated church. Inside is anything but church like with all of the fish mongers battling to sell to the next customer…perfect combination. 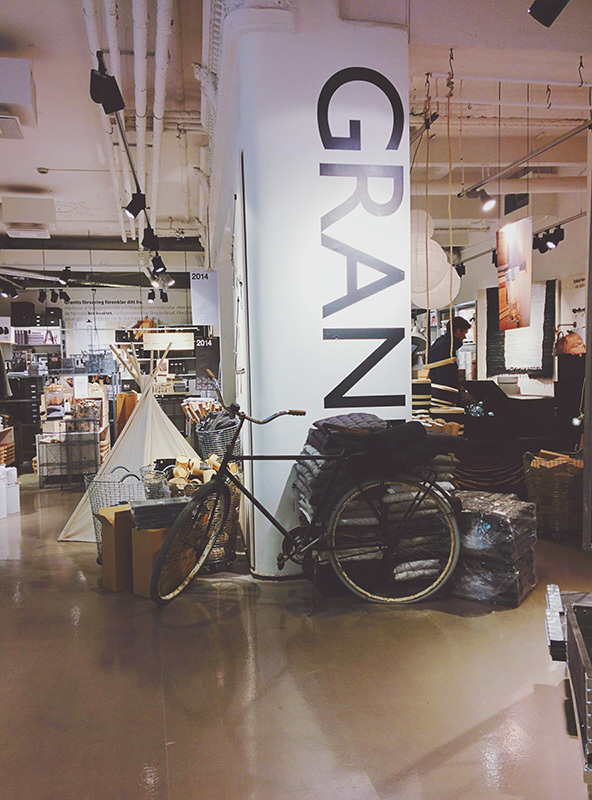 Granit was a shop didn’t expect to find. It appears they don’t ship outside of Sweden, which is such a shame because it’s such an amazing store for all things home and garden. Apparently they have a few stores across Scandinavia, so if you are wandering around there, find one. We would of bought loads of things if we were travelling with more than hand luggage. 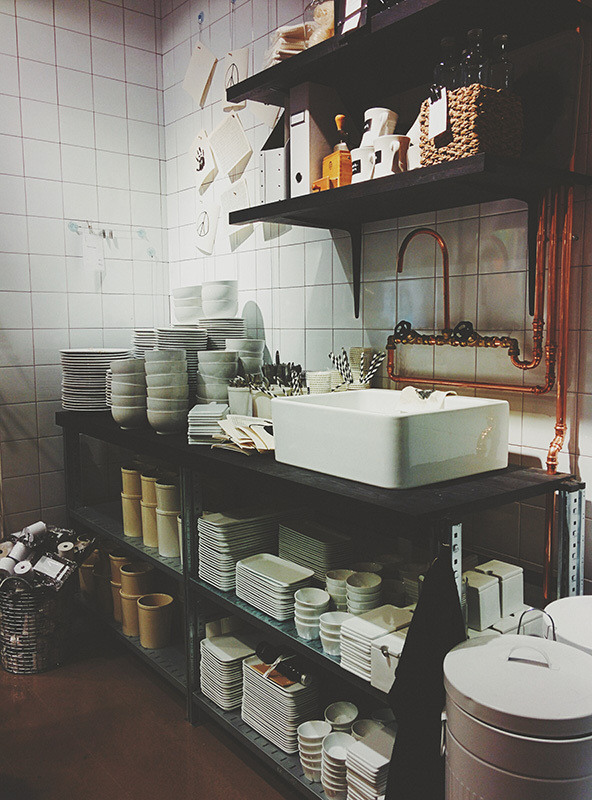 The shop focuses on porcelain, glass, metal, and textiles with items for the bathroom, kitchen, office and garden. The ranges all run through and only the base colours black, white, grey and neutral. I found this a really nice aspect of the store, everything blended in together. 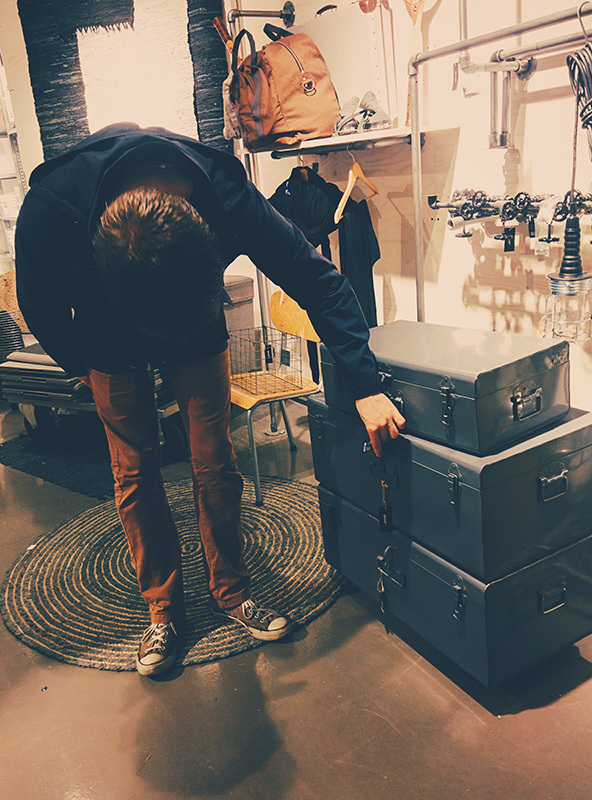 We have a thing for old trunks and Rob fell in love with these faux vintage trunks made from steel. Leaving Gothenburg we travelled to the bottom of Sweden so had to make a stop in Malmö before we entered Denmark. 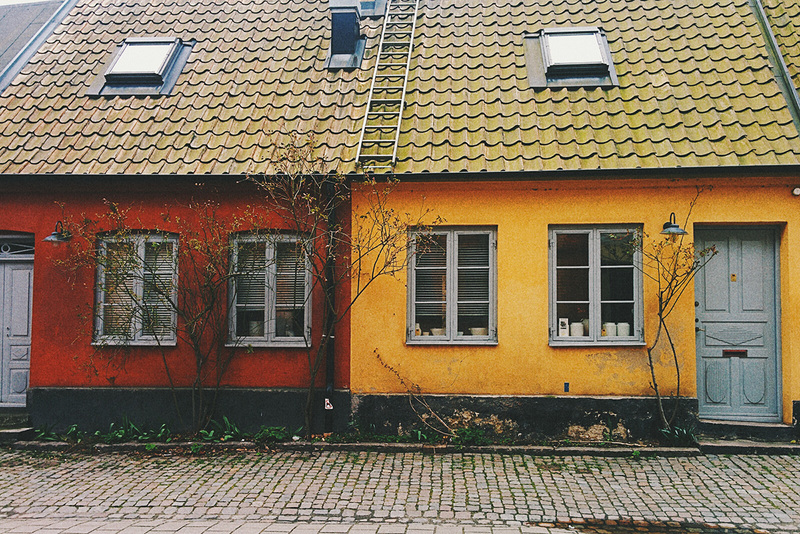 Malmö is a very small city, but also filled with many things to see for a day. 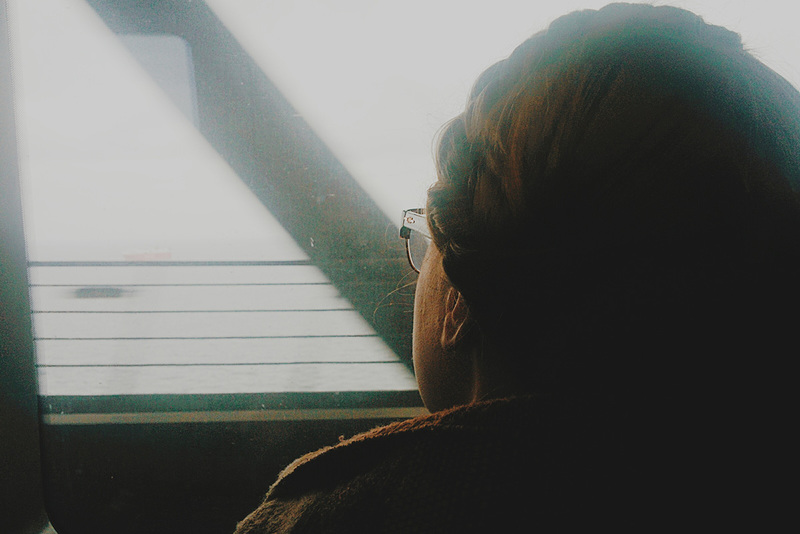 Travelling on the bridge is quite an experience as it’s a great view, I was quite excited! Malmö is quite a pretty little city, a lot of streets to walk around and quite a strong influence from the fishing markets and mongers. There wouldn’t be many activities in the city to keep you excited but if you enjoy wandering around and just taking in all the surroundings, it is quite nice. 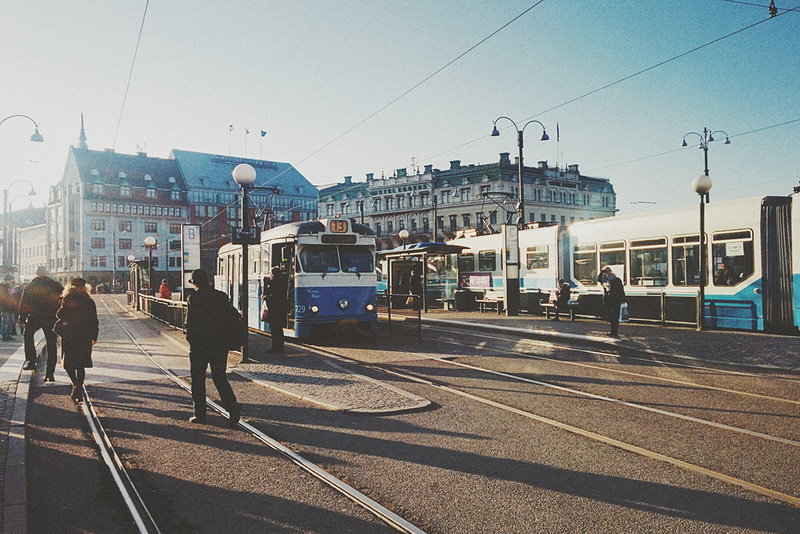 I really love visiting Sweden, and there are so many different cities to view. Next time, I would like to go more up North and view how different it compares to Stockholm, Gothenburg and Malmö. 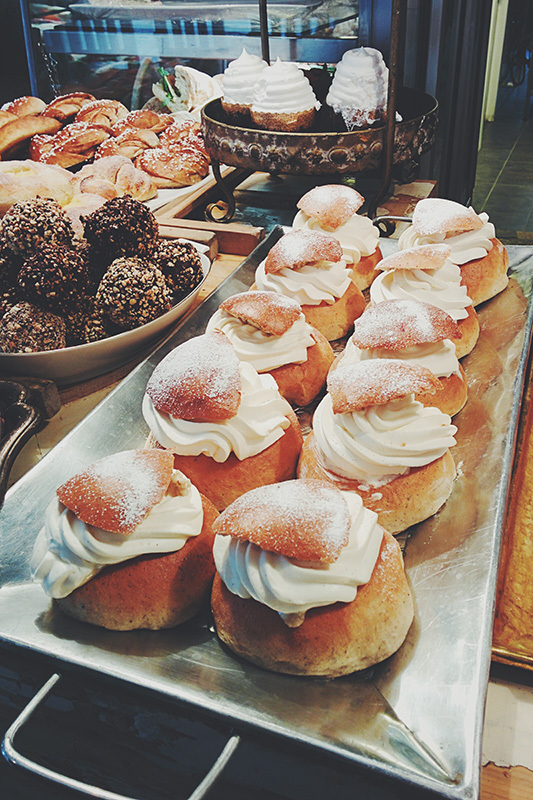 If you have been toying with the idea of visiting Sweden, go for it…soon. I really feel it has so much to offer to a wide range of travellers.